Pittsburgh PA: View of City from the top of the Empire Building - 1904. View of the city looking across to the Allegheny River and North Side. 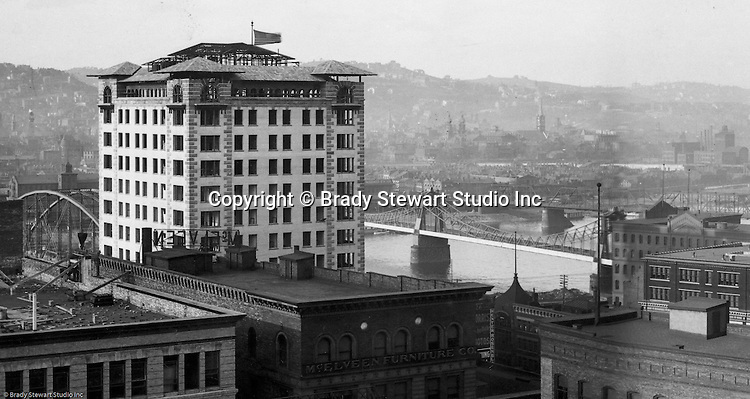 The Bessemer Building in the left near the river.